This is an Ottoman Turkish style name. Osman Bayezid is the given name, and there is no family name. Bayezid Osman, also known as Osman Bayezid Osmanoğlu with a surname as required by the Turkish Republic, or known by the Ottoman imperial name as Prince Şehzade Bayezid Efendi (Ottoman Turkish: بایزید عثمان‎; born 23 June 1924), is the 44th Head of the Imperial House of Osman, which ruled the Ottoman Empire from 1281 to 1922. 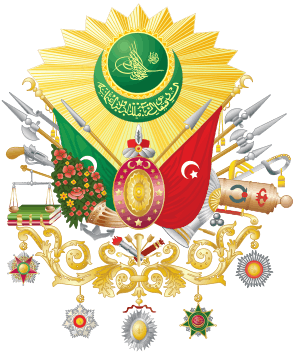 The monarchy was abolished in 1922, with the modern Republic of Turkey replacing it. He is the second son of Sultan Abdülmecid I's grandson Ibrahim Tevfik (24 September 1874 – 31 December 1931) by his fourth wife Hadice Sadiye Hanım. If the Ottoman monarchy were restored, he would be Grand Sultan Bayezid III. He is a member of one of the younger branches of the House of Osman. He is the first member of the House of Osman to be born in exile, and the first head of the House of Osman to have been born after the dissolution of the Empire. After his parents' separation, his father died in 1931, and his mother Hadice Sadiye (1 April 1898 – 9 August 1986) remarried a United States citizen. In 1941 he moved to the United States with his mother, older brother and two stepbrothers. He served in the United States Army and worked in the New York Public Library. Osman has never married and has no children. On 23 September 2009 with the death of Ertuğrul Osman, he succeeded to the head of the House of Osman. ↑ John James (ed.). Almanach de Gotha (2013 ed.). BOYE6. ISBN 978 0 9575198 24. ↑ Montgomery-Massingberd, Hugh, ed. (1980). "The Imperial Family of Turkey". Burke's Royal Families of the World (snippet view). Volume II: Africa & the Middle East. London: Burke's Peerage. p. 243. ISBN 978-0-85011-029-6. OCLC 18496936. Retrieved 16 July 2010. ↑ Buyers, Christopher. "The Imperial House of Osman: Genealogy". The Royal Ark. Archived from the original on 15 June 2006. Soszynski, Henry. "HIH Prince Shehzade Bayezid Osman Efendi". Ancestry.com, Inc. Retrieved 16 July 2010. Born: 30 December 1930 in Damascus, Syria.